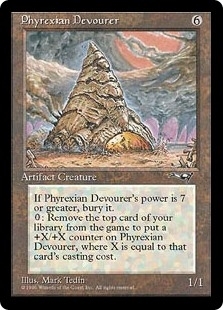 Phyrexian Devourer ($5.98) Price History from major stores - Alliances - MTGPrice.com Values for Ebay, Amazon and hobby stores! 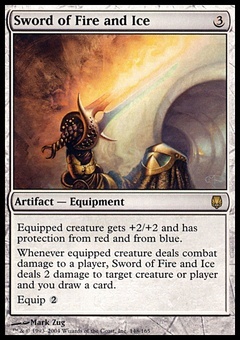 Card Text: When Phyrexian Devourer's power is 7 or greater, sacrifice it. Exile the top card of your library: Put X +1/+1 counters on Phyrexian Devourer, where X is the exiled card's converted mana cost. 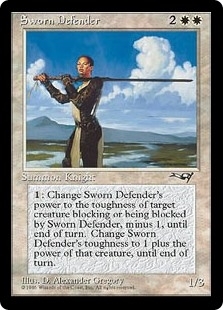 If Phyrexian Devourer's power is 7 or greater, sacrifice it.